MAT LSS is proud to announce that since August 2017 our company is a member of the Association of Zoos and Aquariums (AZA) community! 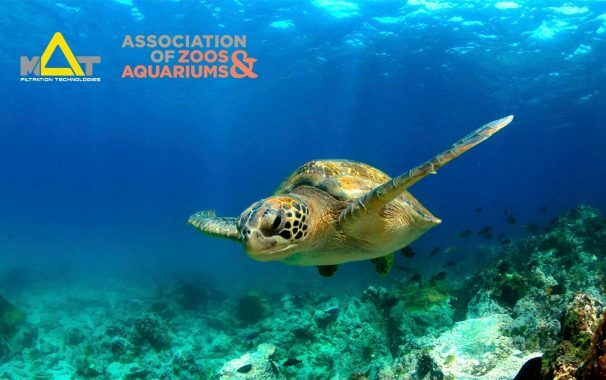 The AZA is a non-profit organization which supports the advancement of zoos and aquariums in the areas of conservation, education, science, and recreation. Currently AZA represents more than 230 institutions all over the world. These institutions meet the highest standards in animal care. AZA is focused on the scientific research, the conservation, the education and the support of multiple projects worldwide. We respect the Code of Professional Ethics of AZA which forms the basis for all disciplinary actions of the Association. MAT is provides the highest quality of filtration technologies to all zoos and aquariums and meets the strict standards in animal welfare of the AZA organization. We are glad to be a part of the AZA community and we are more than happy to support it. It is equally important that MAT is a member of EUAC and IAAPA organizations. Last but not least our company is currently CE, ISO 9001:2008 and ISO 14001:2009 certified. Feel free to read more about our company’s profile.